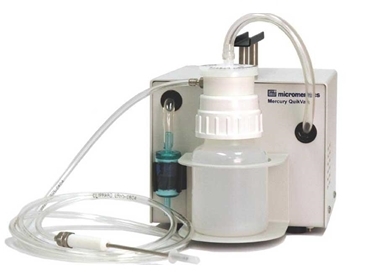 Particle & Surface Sciences presents the Mercury QuikVac from Micromeritics, designed for the efficient and safe collection of spilled mercury droplets. Ideal for collecting liquid mercury and mercury-contaminated particulate matter, Mercury QuikVac features a compact size and lightweight design to suit laboratoryapplications. An activated carbon filter traps the mercury vapours and exhausts clean, safe air back into the laboratory. Mercury QuikVac is recommended to be used in and around vent hoods, and other areas where mercury spills may occur.